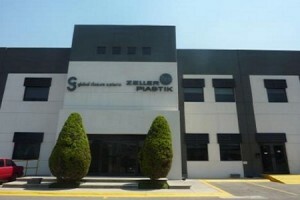 May 03, 2013– Global Closure Systems announced that its plant expansion in Mexico is now completed. Global Closure Systems is one of the leaders in the Mexican plastic caps and closures industry, with strong positions on the Household, Food, Personal Care, Wine & Spirits, and the Beverage sports cap markets. Driven by its longstanding success in the Americas region and its desire to satisfy the increasing demand of its customers, GCS began the expansion of its Zeller Plastik Mexico factory mid-2012. The construction is now completed: the production surface of the plant has increased by over 30% and the warehouse area is upgraded with an additional 25% of floor space. GCS can now operate up to 40 injection machines and over 30 machines for its complementary process station. “Our skilled and dedicated teams are fully committed to achieve high Customer Service level, World Class Quality as well as continuous Innovation of Product and Process. We want our customers to be confident that GCS will continue to support them by making the best closure systems for their brands. This expansion allows GCS to meet the end-market’s rising demand in the Americas region. Global Closure Systems plans to further expand its manufacturing operations in Mexico by 2017.” said Sandy ALMIRALL, GCS VicePresident of Americas region.